Bank on a warmer relationship and stay cozy with online and mobile banking! 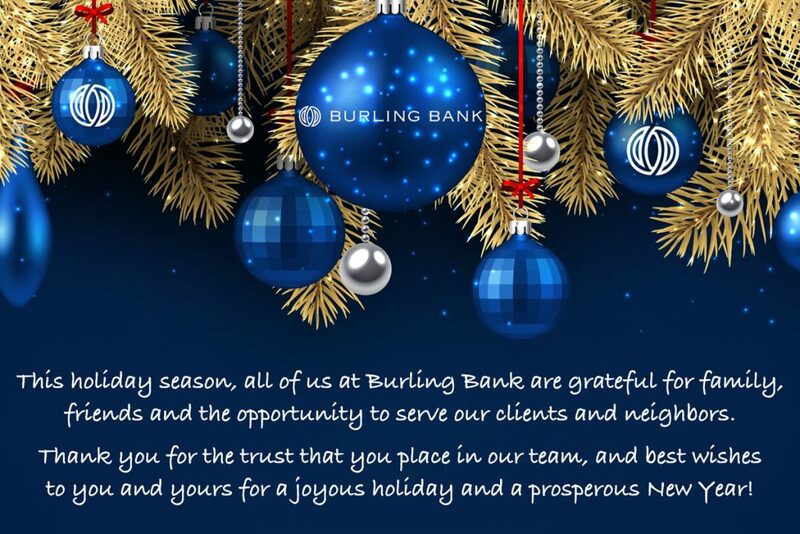 Despite the frigid temps, Burling Bank will be open regular business hours today, full of warm smiles from our dedicated staff. Call or email if you need us! Only five of the 76 banks with a branch or office in Chicago put 100% of their deposits to work in Chicago and invest 85 percent or more of their total money back into the local economy. Burling Bank is one of those banks. In our latest Burling Real Economy Impact Report produced in collaboration with the local startup Mighty, we dig deeper into these statistics. 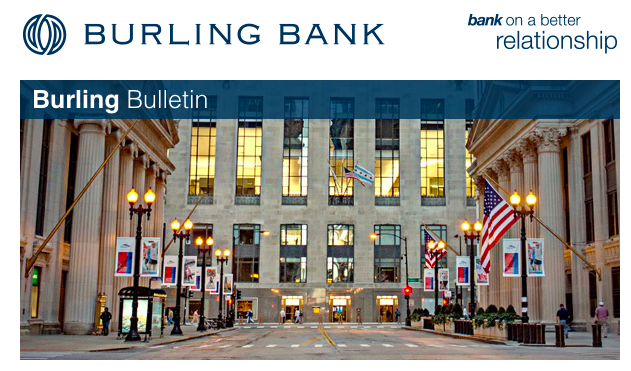 We show how your choice to bank with Burling creates a real positive impact in Chicago’s economy. We also look at the human side of these investments through interviews with two local entrepreneurs who bank with Burling: BridgeFT Co-founder and CEO Rasheed Hammouda and AW Studio Owner Amanda Williams. 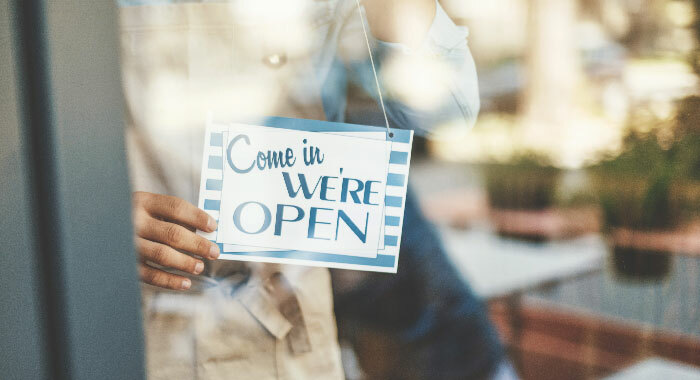 We encourage you to read the full report to learn more about how your money is helping to improve Chicago’s small business and cultural landscape. Burling Bank has recently upgraded our online and mobile banking system. Managing your money is now simpler than ever, wherever you are. If you haven’t already, please enroll in the new system. It’s easy: Just download our new online banking app by logging in at www.burlingbank.com, then follow the enrollment instructions. Mobile banking users can also download the new mobile banking app from the App Store or Google Play. As we shift to the new system, current users will default to a single sign-on entity, with sub-users no longer available. Business users with more robust needs may enroll in our new online business banking platform to control these user preferences and take advantage of several other feature enhancements. To learn more about the expanded features at your disposal — including Notifi, a real-time alert program that helps you track account activity — we’ve launched a new Resource Center. You’ll find helpful videos there that walk you through all the time-saving and productivity-enhancing features of Burling’s new online banking, mobile banking and bill pay services. New Online Banking and Mobile App Coming! In our continual effort to provide you with the very best in convenient banking services, we are updating our online and mobile banking systems. On October 29, 2018, Burling Bank will launch a new Online Banking System and Mobile Banking App. Easy Access, Great Tech, Friendly Service. All Online Banking users will need to re-enroll on October 29th beginning at 9:00 AM Central. Simply log on to Burling Bank’s website at www.burlingbank.com and follow the enrollment instructions. All Mobile Banking users will need to visit the App Store or Google Play to download a new, free mobile banking app on October 29, 2018 beginning at 9:00 AM Central. We will share links to the new apps on our website October 29, 2018. Current business users will default to a single sign-on entity (sub-users will no longer be available). Business clients who have more robust needs may enroll in our new commercial online banking platform described below. Bill Pay information will remain the same, so there is no action that needs to be taken. PLEASE NOTE: The Burling Bank Online Banking and Mobile Banking systems will be temporarily out of service from 4:00 PM Central Friday, October 26, 2018 to 9:00 AM Central, Monday October, 29 2018. We apologize for any inconvenience and appreciate your understanding as we upgrade our system. Should you need to transfer funds or obtain a deposit account balance, our 24-hour Telephone Banking system is always available at 866-412-4632. Burling Bank will provide an improved online banking experience for our commercial banking clients with enhanced features such as Wire Manager that allows you to enter and authorize your own wires. If you wish to use this platform, you will need to fill out a Business Online Banking Form so the Burling team can build out your user profile. You can download the form here and send it back to us using our secure email system on the Burling Bank online banking platform. Should you have any questions, don’t hesitate to call us at 312-408-8400 or email us at internetsupport@burlingbank.com. 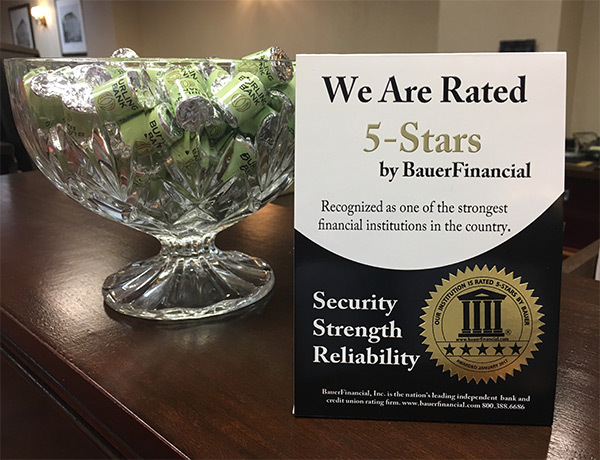 We are pleased to share that Burling Bank continues to earn a 5-star rating from Bauer Financial. This prestigious award recognizes us as one of the strongest financial institutions in the United States for superior security, strength and reliability. We are grateful to our clients, staff, and board of directors for this shared success and welcome distinction. Bauer Financial, Inc. is the nation’s leading independent bank and credit union rating firm. To learn more about our 5-star banking experience, please visit our office in the landmark Chicago Board of Trade Building or contact us today. As we continue to serve and support Chicago’s business, innovation and financial communities, we are pleased to present you with a small business feature in our latest newsletter. Visit the latest edition of the Burling Bulletin.